Since the 1970s, Osseo integrated dental implants have offered an alternative for replacing the missing teeth. They are surgically inserted into the jaw bones to support a dental prosthesis and are retained because of the bone growth onto their surface. Dental implants have undoubtedly been one of the most significant scientific breakthroughs in the field of dentistry over the past 30 years. Made of Titanium, which is an extremely biocompatible material, a dental implant replaces the root of the missing tooth over which a crown is finally fitted to give a fixed replacement of the missing tooth. 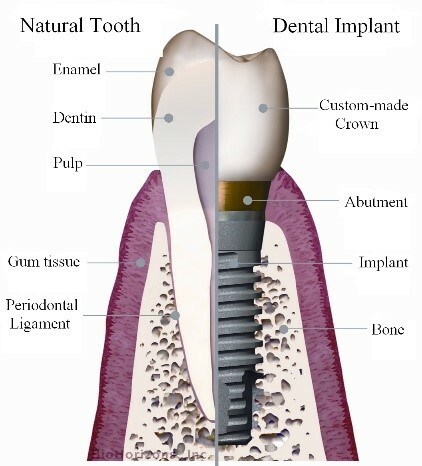 Thus a dental implant closely resembles your natural tooth. Research indicates that the success Rate of Dental Implants is about 98% and at Procare Dental Clinic we can proudly say that with the expertise of the Implantogists in our team, we have a stunning success rate of 99.3%. The success of Dental Implant Therapy depends not just on patient factors like diabetes, hypertension but also on the technique and the design of the prosthesis. Our clinic being one amongst the best dental clinics in Mumbai in terms of Infrastructure, we assure that you are in safe hands. 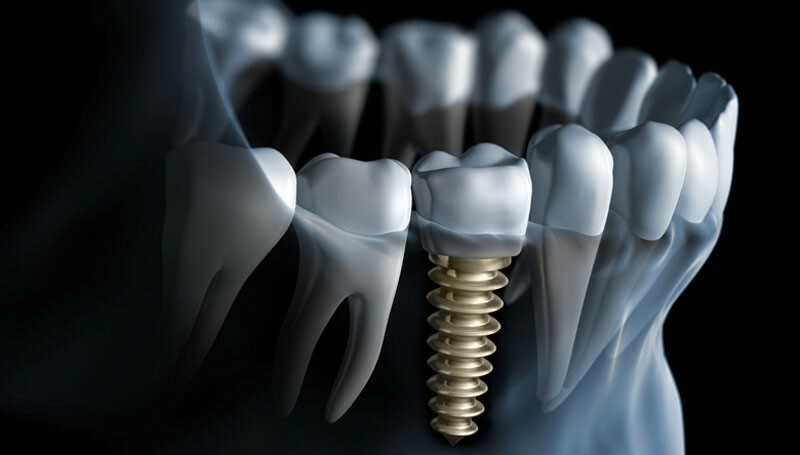 An implant can be used for replacing a single tooth or replacing all the teeth. It can also help your dentures fit better with better functionality. Our team not only practises Dental Implants in Mulund, but they are consultants for over 20 dental clinics in Mumbai and would surely provide you with the best possible implant option for you. Not everyone has the adequate bones for Dental Implant placement due to which at times grafting procedures may be required for making your bone or gum tissues suitable for an Implant procedure. Our team is well versed with all the alternatives (Sinus Lift, Ridge Expansion, Ridge Split, Ridge augmentation) to give you the best treatment option even when your bone might not be suitable for Implant placement. With the advancements in the design and the texture of the Dental Implant surface, it is now possible to finish the entire treatment procedure in about 3 ½ months with the chair side time (your availability required) just being about 2-3 hours in total divided over 4 appointments. Immediate replacements are also possible if all other the factors are favourable. With the resemblance to the natural teeth, maintaining dental implants is also similar to maintaining your natural teeth. Proper brushing and flossing with regular check-ups and clean-ups is all that is needed and with the regular reminders from our team, we will make sure that you are motivated. If maintained well, Dental Implants might even last for a lifetime. Hence, choosing dental implants over ordinary dentures is also something most dentists in Mumbai advice. Implant treatment is surely costly than the dentures or the crown and the bridges, but when you compare the advantages over other available treatment options, it’s priceless. The cost of getting dental implants in Mumbai varies with the dentist. Choosing us would ensure that you get one of the best dental implants at a good price. To Conclude Procare Dental Clinic would definitely be one of the Best Dental Clinics in Mulund if you are looking to get treatment involving Dental Implants at a great price.